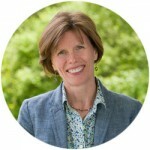 How can environmental education be linked to or taught through literacy using Garden Signs, Little Free Libraries, and Curriculum-on-the-Go Kits? What is the first thing you see when you walk into an Outdoor Classroom? Is it a Welcome Sign? There is nothing more inviting than a Welcome sign! A Welcome sign is an invitation. A Welcome sign gathers community. Welcome signs come in all shapes and sizes, as do communities. A Welcome sign invites visitors to the outdoor space and leads them into a new space. For learning and teaching, Welcome Signs are like the front door of a house and often give visitors their first impression of your Outdoor Classroom. Using Signs to interpret your outdoor space is a first step to linking environmental education into literacy outdoors. There are many types of signs and lots of benefits to adding signs to your outdoor space. Demonstrate the life cycles of insects and animals using words and pictures. Show pictures of the parts of a butterfly in the butterfly garden. Show plants and tree identification with leaf matching picture games. Can label types of gardens and educate visitors about the different garden areas. Can give friendly reminders about staying on the path, picking food and sharing the rules of the area. Ask curiosity questions to the viewer. Label areas of study like The Decomposition Log. Include inspirational quotes to allow the visitor to ponder. A second step to linking environmental education into literacy outdoors is to add a Little Free Library and a few Wonder Boxes to the Outdoor Classroom. What is a Little Free Library? A Little Free Library is a “take a book, leave a book” free book exchange. They come in all shapes and sizes, but the most common version is a small wooden box of books. Anyone may take a book or leave a book to share. 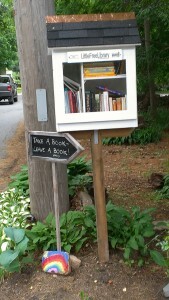 Like signs, Little Free Libraries invite communities to gather and leads visitors into a world of books. Little Free Libraries are the perfect vehicle for infusing literacy outdoors especially when they have a “sign in” journal inside for visitors to leave notes. 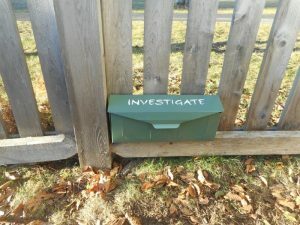 Wonder Boxes, on the other hand, are smaller mailboxes that are distributed throughout the Outdoor Classroom. These little gems hold “wonder.” The contents inside can be changed daily, weekly or monthly. Wonder Boxes may include a nature-based book with puppets, science materials for outdoor exploration and/or supplies for outdoor math games. There aren’t any limits to how many Wonder Boxes can be in an Outdoor Classroom. Therefore, the possibilities are endless. Add Wonder Boxes to a Garden that Feeds or a Bird Sanctuary. Create clues inside the Wonder Boxes that lead the visitor to each garden. Include curiosity questions, clues to where the next box is, and directions on how to travel there. A fourth step to linking environmental education into literacy outdoors is the use of Curriculum-on-the-Go Kits. 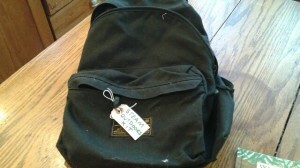 These are backpacks that house materials for enjoying reading, writing, drawing, storytelling, vocabulary, and nature-based themed activities. It’s always good to refresh and renew these kits in order to keep your outdoor experiences rich and exciting for both you and the children. Think for a moment. What if? What if every child in every school had access to an Outdoor Classroom that included Signs, Little Free Libraries, Wonder Boxes and Curriculum-on-the-Go Kits for teachers? What would the impact be? The simple task of creating literacy-rich environments outdoors with Signs, Little Free Libraries, Wonder Boxes, and Curriculum-on-the-Go Kits for teachers invites educators to make the shift into an environmental inquiry. Therefore, growing literacy outdoors inspires inquiry-based learning and nurtures children sense of wonder. Do you want to learn more and dig a little deeper? Are you in love with Nature Based Children’s Books and can’t figure out how to bring them to life outdoors? Do you read outdoors, under a tree with children, but want to take these experiences to the next level? Do you want to capture children’s wonder outdoors with NEW nature-based literacy activities? 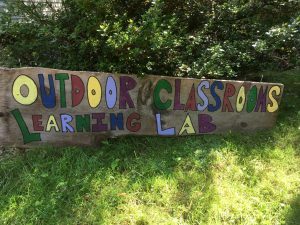 If you are interested in adding Literacy to your Outdoor Classroom design plan and want to collaborate with other natural teachers about growing outdoors then this course is for you. The Let’s Grow Literacy Outdoors e-Course can catapult your teaching program into the outdoors while harnessing children’s natural wonder. Learn more HERE!